Bromethalin, a common rat poison, is the agent responsible for a neurological disease that has sickened or killed birds from a popular flock of naturalized parrots that reside primarily in the Telegraph Hill area in north San Francisco, according to a new study led by the University of Georgia Infectious Diseases Laboratory and funded by Mickaboo Companion Bird Rescue. The study’s findings suggest that parrots do not metabolize the potent neurotoxin in the same manner that has been described in other species, and/or that the parrots are ingesting a sublethal dose. The authors do not know how the parrots are being exposed to bromethalin, but they are planning a follow-up study to determine the source. “We now need funding from individuals and groups interested in protecting our environment to help us understand if this toxin is accumulating in a space where it could pose a health risk in other free-ranging animals, or, possibly, in companion animals and people,” said co-author Branson W. Ritchie, a veterinary research professor and co-director of the Infectious Diseases Laboratory. The birds primarily reside in neighborhoods near the San Francisco-Oakland Bay Bridge and frequent the area’s parks, but affected birds have been found throughout San Francisco, including on busy streets and downtown sidewalks. 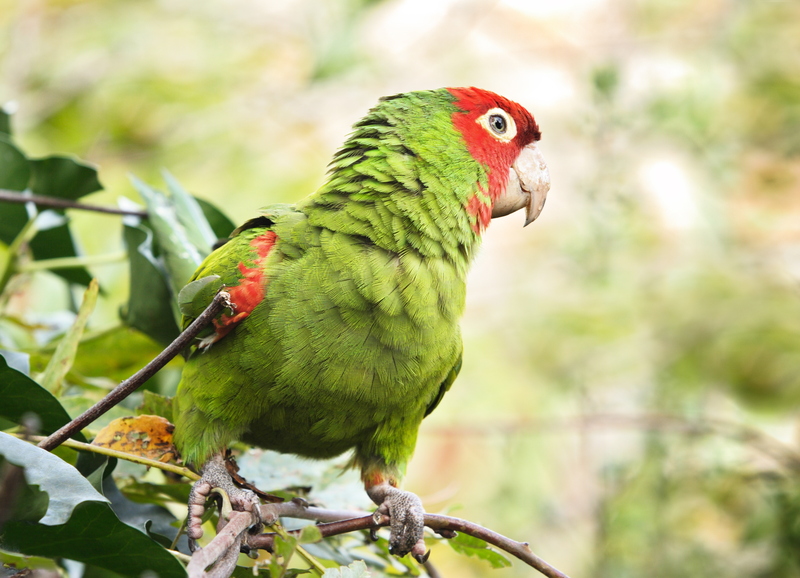 The total number of birds affected to date is difficult to estimate, but from 2003 through 2018, Mickaboo Companion Bird Rescue had established records on 158 San Francisco parrots, of which 55 died, 53 were adopted, 22 were released including three that escaped, and 25 remain in foster care. Of the birds in foster care or adopted, many have persistent neurologic deficits, including paresis and ataxia, that require special care.